There are a variety of activities and adventures available ranging from quad biking, diving, diving with dolphins, or even just travelling to some unique restaurant and bars locations within the area. We can recommend the following that will make your stay a memorable one. Email Bev to plan your adventure. An opportunity to swim with wild dolphins and see Whales. Dolphin trips are all year round with Whale season between Mid - July to End of August. 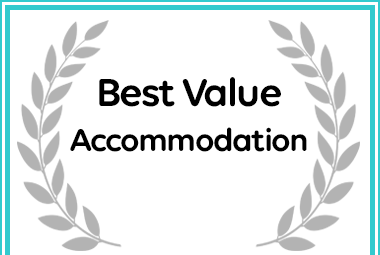 Afristay has named Gala-Gala Eco Resort as Best Value Ponta do Ouro Accommodation.